Seam allowance refers to the area between the stitching and raw, cut edge of the fabric. The seam allowance is an important part of a seam and is usually unseen, inside the garment. Some seam allowances, such as in a Flat Felled Seam are seen and a visible part of the seam. Understanding the anatomy of a seam will help you understand how the parts of a seam work. The most common seam allowances are 1/4", 1/2" and 5/8". Always check your pattern directions and use the seam allowance called for in the directions. A seam joins one or more pieces of fabric. All layers of fabric joined by a seam must have the same seam allowance. Make sure that the raw edges line up evenly to create equal seam allowances on all of the pieces being joined. A seam guide on your sewing machine will guide an accurate seam allowance. Learn how to set a seam allowance guide on your sewing machine to ensure an accurate seam allowance. When you are hand sewing, keep a sewing gauge close at hand to check your seam allowance accuracy. Examples: Sewing accurate seam allowances is an important key to having your pattern pieces fit together. When the seam allowance is not accurate, you are changing the intended outcome of the pattern. A seam allowance also contributes to how a garment hangs so changing the seam allowance can change how the finished garment will hang. An altered seam allowance can also affect how pockets that are inset in a seam fit together. Accuracy is important on all levels and it starts at basic seam allowances. Alterations to add or subtract from a pattern should be made before the pattern is cut out to maintain the original design and have the garment hang properly. A seam finish is an important part of the seam allowance. A seam finish will prevent the seam allowance from fraying and vanishing in the laundry. Choosing a seam finish should happen before you start to sew the seam and create the seam allowance. Most clothing patterns will tell you to press a seam open. This involves pressing the seam allowance with the fabrics being pressed back on them self and the seam open. Pressing tools are an important part of your sewing tools since pressing makes a huge difference in the finished product having a professional appearance. 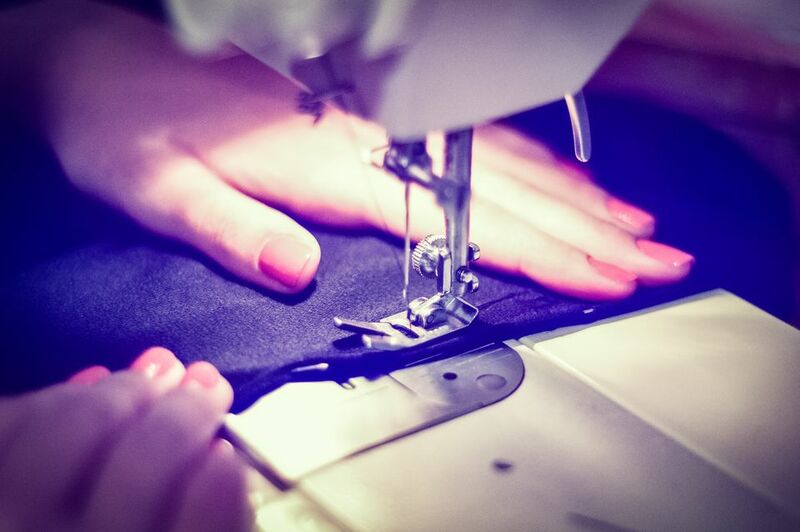 Pressing each seam as it is sewn and then pressing it open or to one side helps contribute to a professional finished appearance.